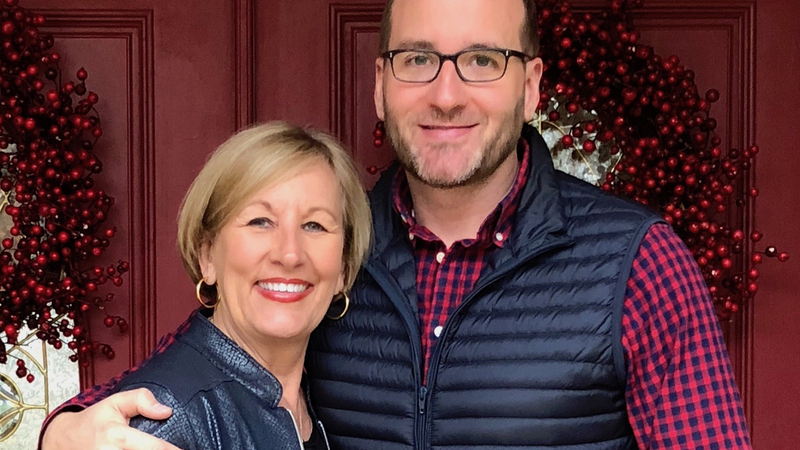 Today’s post featured below comes from HRC President Chad Griffin’s mother Betty Hightower, who urges HRC members and supporters to protect young LGBTQ people. It’s hard to believe that my son, Chad Griffin, has been president of the Human Rights Campaign for almost six years! I am so proud of him. Like so many of you, Chad has never shied away from fighting for what’s right. From pushing marriage equality at the Supreme Court to his persistent activism and advocacy nationwide, he’s given his all to the fight for LGBTQ rights. I’m thrilled to stand by his side, today and always, as his mom and as one of HRC’s Moms for Equality — will you stand with us and support HRC with a special donation today? HRC has done (and is doing) incredibly important work across the country. We’re lifting up voices of those most vulnerable, righting wrongs in communities large and small and helping pave the way to a more equal tomorrow for ALL people. As a Mom, it’s my job to provide for and protect my children — nothing is more important to me as a parent. That’s why I've joined HRC’s 3+ million equality champions coast to coast who support LGBTQ equality. We won’t give up until every lesbian, gay, bisexual, transgender and queer (LGBTQ) person is treated equally under the law. This southern mom is in this fight to win it — are you? Whether you’re a Mom for Equality, a parent, a friend or part of the LGBTQ community, I hope I can count on you for your support today. This work can’t continue without you by our side. Now, let’s get to it.